Prompt Contest: A Picture is worth . . .
A picture is worth . . . you know. . . lotsa words. Redwood Writers, a Branch of the California Writers Club, is sponsoring The 2016 Prompt Contest. 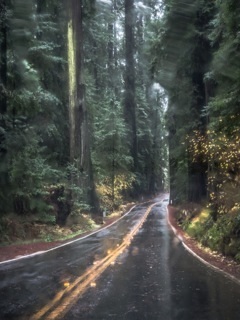 Write a fictional story inspired by this “Highway through the Redwoods” photo by Tim May. The connection between the story and the photo must be apparent to the judges. The words “redwood” and “highway” must be somewhere in the story. DUE DATE: October 16, 9:00 p.m. Contest submissions are open to all California Writers Club members and to non-member residents of Sonoma, Napa, Mendocino, Marin, Lake, Humboldt and Solano counties.